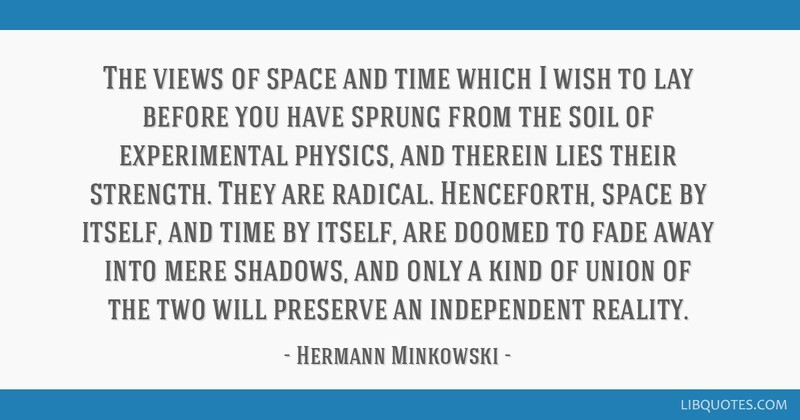 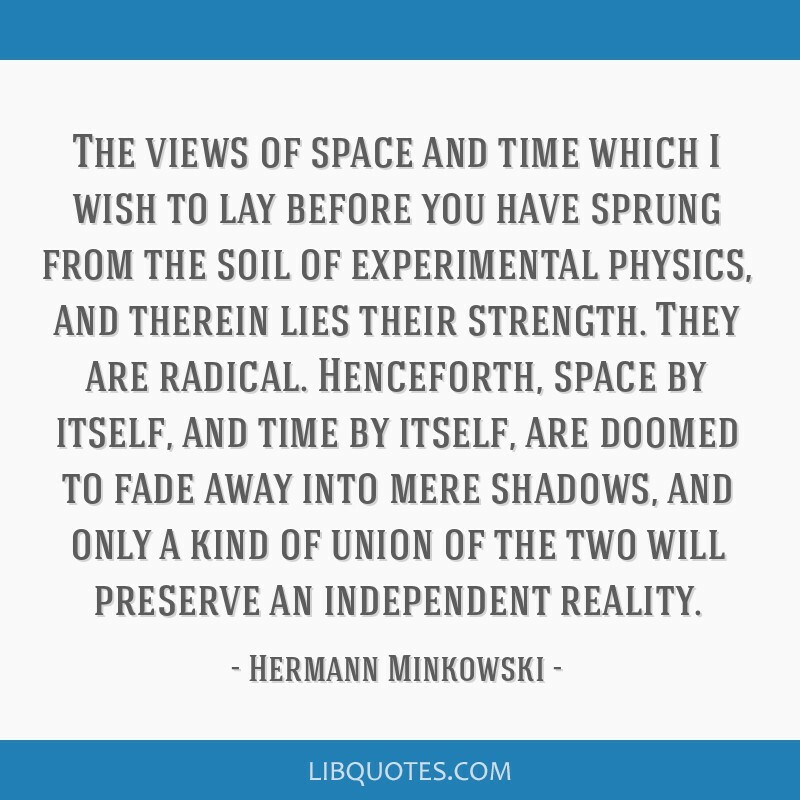 The views of space and time which I wish to lay before you have sprung from the soil of experimental physics, and therein lies their strength. 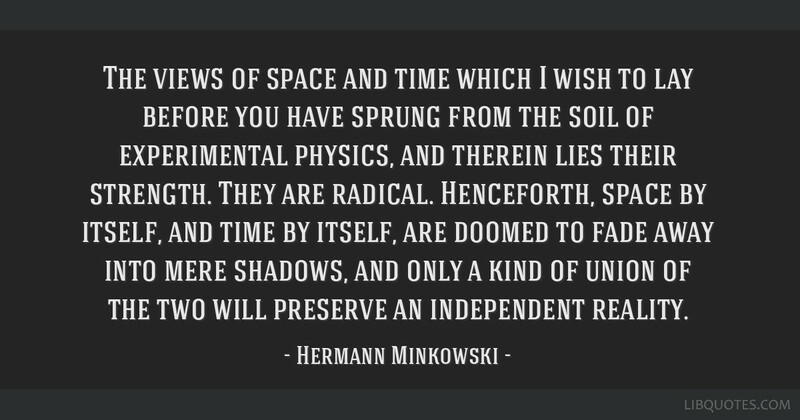 They are radical. 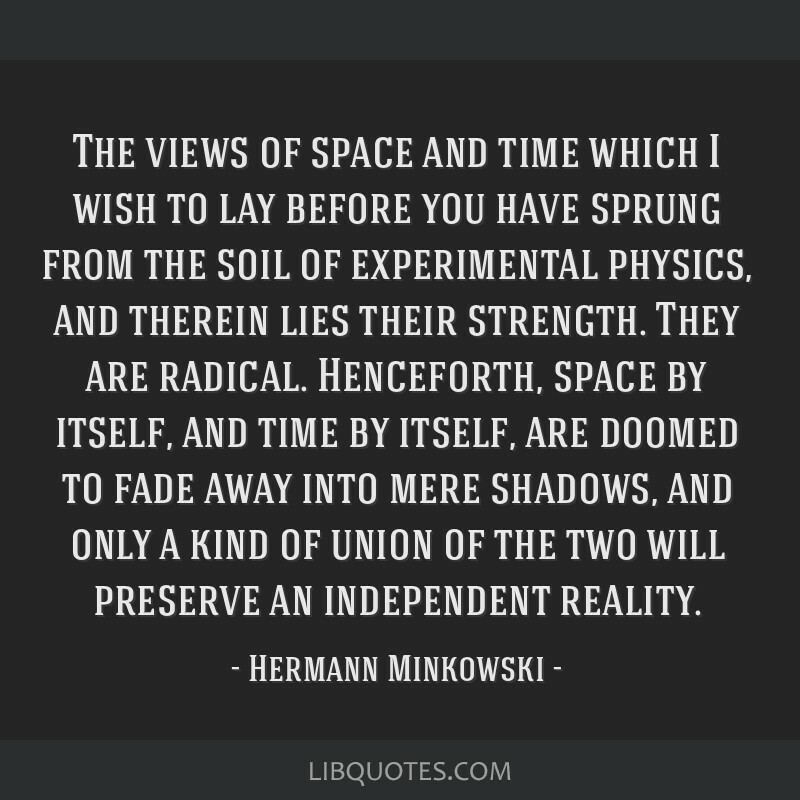 Henceforth, space by itself, and time by itself, are doomed to fade away into mere shadows, and only a kind of union of the two will preserve an independent reality.